Have you ever wanted to try Turkish coffee made yourself right from your own kitchen? It’s easier than you might think, but you will need a few supplies to do it right. 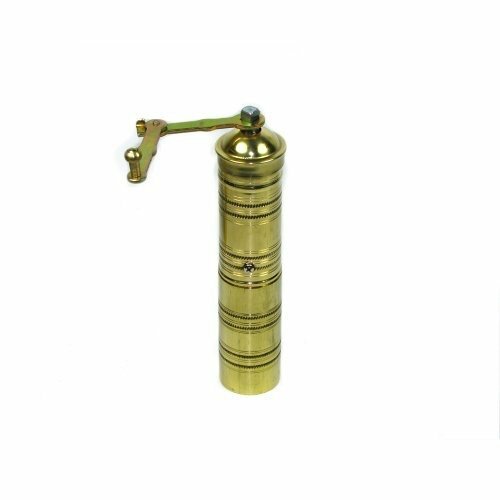 Turkish coffee is simply a brewing method that prepares coffee unfiltered. When it is served, the grounds are usually allowed to settle in the bottom. This method of both brewing and serving usually leads to a coffee that is very strong, and is often served with water on the side so you can cleanse your palette before each, delightful sip. Turkish coffee originated from, you guessed it, Turkey and today is considered part of its cultural heritage. This method, however, has spread from its place of birth to many other areas including Eastern Europe, North Africa, the Middle East, and many more places. You can even find it here in the United States, although it is not quite as common. You don’t have to rely on specialty shops to try Turkish coffee. With just a few materials, you can make it right in your home so you can give this unique and exotic coffee a try. Who knows, you may find that you actually prefer it over other, more mainstream brewing methods. You can’t brew Turkish coffee with just any old coffee maker, I’m sorry to say. If you could, everybody would be making it. But there is more to it than just the coffee maker, your coffee also has to be ground especially fine. Many roasters and coffee shops should be able to do this for you. If not, then you could always pick up a Turkish Grinder. Take note, though, your regular grinder won’t do, so either go somewhere to have it ground for you or invest in a new grinder. In addition to the grinder, there are other materials you will need as well. 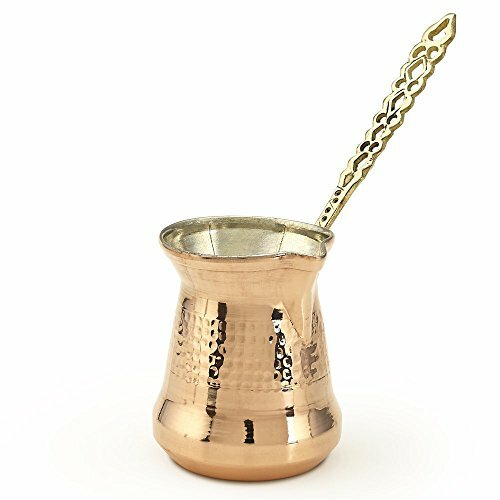 Below is a list of everything you should acquire before trying to brew Turkish coffee. While most people who enjoy Turkish coffee tend to purchase Arabica beans, Turkish coffee can actually be created with just about any type of bean. So why not stick with a bean you know you enjoy already? As far as the best roast goes, you want to try to start with a medium roast, as part of the process of creating Turkish coffee will involve roasting the beans even more. If you start too dark, the coffee could end up too strong. Once you have gathered all of your supplies and materials, it is time to get started with your very first Turkish coffee experience. All in all, this won’t take much longer than brewing a regular cup of coffee, but it will provide a coffee experience that you have never had before. Add the desired amount of water to your pot. Heat the pot under medium heat until the water begins to heat up. Add one to two heaping teaspoons or one tablespoon of your ground coffee (should be very fine) per 3 ounces of water. Do not stir. Sweeten with sugar to taste. Do not stir, yet. Once the coffee begins to sink and the sugar begins to dissolve, turn the head down to low and stir it until foam begins to form. When you see a ring begin to form, turn down the heat or remove it from the heat source temporarily. Never let your water boil but keep heating it while stirring as needed to create even more foam. The foam the better it will taste. Keep the foaming stage going as long as you can. If you see it beginning to rise remove it from the heat and then replace it. Repeat this one or two times . As you can see, making traditional Turkish coffee is easier to do than it sounds. The key is to use fresh, finely ground coffee and never let it come to a boil. Try to create as much foam as you can by heating and stirring as that will only work to improve the overall experience. On top of the special brewing method, there is a special way you should drink it as well to ensure that you enjoy all the flavors it has to offer. Pour your traditional Turkish coffee and pour a separate glass of water. Wait for about one minute to allow the coffee grounds to settle at the bottom. Take a sip of your water to cleanse your palette. Sip the Turkish coffee slowly. As you can see, there is a real art to drinking Turkish coffee, but if done correctly it can provide a coffee experience that is truly like none other. Turkish coffee is an exotic beverage that many people, especially here in the western world, have never had the opportunity to enjoy. It is a different coffee experience, however, but one that I believe everyone should try at least once. 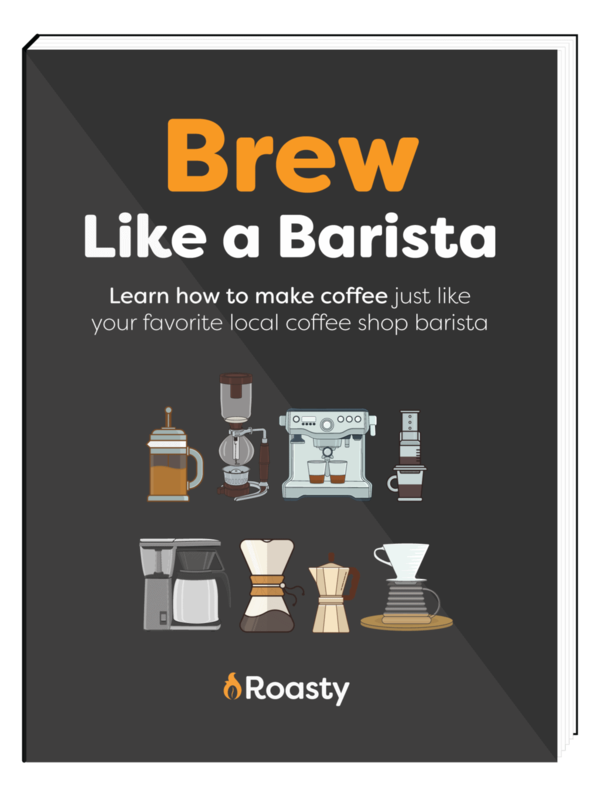 While you may find it hard to find at your local coffee shop, with the right equipment you can easily make your own in the comfort of your home. So why not try something exotic by trying traditional Turkish coffee? Whether you enjoy it or not, the experience will be worth remembering as you expand your coffee tastes to an international level that most people will never try in their lifetimes. Confused as to what exactly is the difference between these two press style coffee brewing desire? Look no further. In our AeroPress vs French press face-off, we'll compare the newbie device with our brewing veteran, to find out which press will impress your personal tastes and lifestyle.